Take the Sporting Our Spirit Challenge! 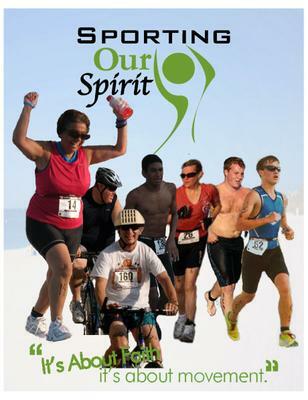 Faith & Fitness…Take the Sporting Our Spirit Challenge! Need a challenge to build your confidence & prove to yourself (and maybe a few others) just how awesome you are? It is not Outward Bound, but it will be a physical challenge. It is ageless fun & physically adventurous: try a triathlon. 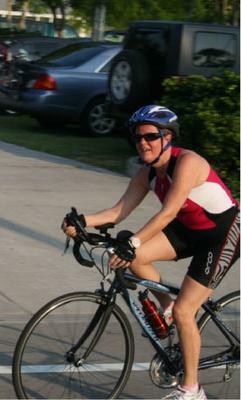 A triathlon is nothing more than 3 ways of playing (and exercising) we all learned as kids: swimming, biking, & running. Coach Susan Kelly of Sporting Our Spirit will get you ready with an online training program & personal encouragement as you need it. Select from one of many triathlon events: super short & recreational or pick one more challenging. Meet other women like yourself along with Coach Susan days before the event. We will share what being physical means to us, what we’ve learned, what we hope race day will reveal to us. Some pampering is in order: a massage & a make up session will get you ready for the photographer who will join our group. You will want some great pictures to add to your journal. Options for triathlon group or individual training are available. Just ask. (1) Meek & Mighty (mini) Triathlon (St. Petersburg, FL) has a pool swim, not open water, & it’s very short. Date: Saturday, April 28, 2013. (2) Captiva Island Triathlon- Sprint distance with open water swim. Beautiful area. Date: Sunday, September 15, 2013. Let’s give ‘em something to talk about! Comments for Take the Sporting Our Spirit Challenge! Susan is the best coach EVER! She wants you to succeed almost more than you want yourself :) She's very diligent, motivating and caring. She will work around your schedule and to your budget! Two years ago I had the great pleasure of being involved in the First Watch Half Marathon. My husband and I did this as a team. But the bigger part of our team was our coach, Susan Kelly. She is a fantastic coach - enthusiastic, energetic, encouraging. Her many years of experience more than qualified her to help my husband and I reach our goal. This year I am putting myself in her care again as I attempt my first triathalon. Never thought I'd be excited about this kind of thing but I find myself looking forward to the training, mostly because I know how much Coash Susan cares about people and their over all health and well being. She challenges me when I think I have nothing left and I'm looking forward to seeing what I'm really made of. Great coach and motivator. Plenty of ideas for achieving peak fitness from couch to half ironman. It is not just about the body but the mind. Let Susan help you accomplish your fitness goals no matter how big or small. I have been working with Susan for over 10 years. She is a postive, energetic coach that knows how to inspire you to do your best! Tried a mini triathlon with Coach Susan Kelly and got hook on the sport. Now doing sprint and olympic distances. Mind, spirit and body experience I cherish.